You want to copy products from another Shopify stores. How to do that? You must go to each product page to copy content: title, handle, SKU, variants, description, images… After that you login into your store and create each new products. You will spend a lot of time. We developed a new tool help you save your time to do this task. The tool help you copy products from any Shopify stores. The tool will export products infomation to CSV file – standard CSV format of Shopify and you can use this file to import products into your Shopify store. Fill all product URLs into the above fields. Click onto Submit button to get download link. If you have any issue or any feedback for this tool, please let me know. 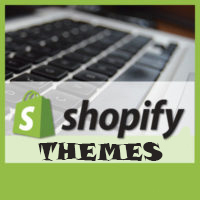 What are the pros and cons of Shopify? How to disable the right click on image to prevent downloading images on Shopify? Copyright © 2019 by Hura Tips. All Rights Reserved. Developed and Designed by Hura Apps.